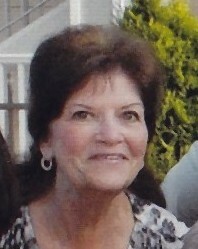 Elizabeth “Betty” Mulligan (Lover) passed away on Sunday, September 2, 2018 at Baystate Medical Center. Born in Springfield on January 15, 1942, she was the daughter of the late Russell Lover Sr. and Rae Duval. Betty attended Springfield schools and worked in the healthcare industry. Before returning to Massachusetts she lived in Florida for 11 years. She was a fan of the Boston Red Sox and the New England Patriots, and enjoyed time shopping and caring for animals. Above all, Betty enjoyed spending time with her family and friends. She was predeceased by her husband, Eugene Mulligan; and her brothers, Russell Lover, Jr. and Timothy Duval. Betty leaves her daughter, Wendy Martin and a granddaughter, Danielle Belisle, along with many family members and friends who showed their support during Betty’s final days. Calling hours will be held at Byron Keenan Funeral Home & Cremation Tribute Center, in Springfield, from 11:00am – 12:30 pm, followed by a private family service. Donations may be made in lieu of flowers to Dakin Humane Society or American Cancer Society. For further information please visit byronkeenan.com.